Multiple sclerosis (MS) is an unrelenting and unpredictable disease with no discernible cause as of yet. It affects more than 2.3 million people worldwide, and although it is not contagious and cannot be directly inherited, more and more people continue to contract this strange and debilitating condition every year. 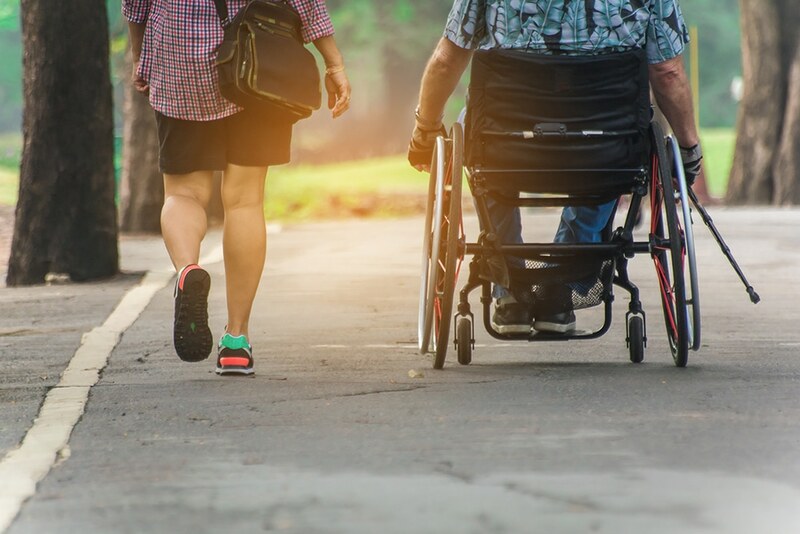 People with multiple sclerosis most commonly suffer from inhibited mobility and range of motion, but other symptoms include pain, weakness, spasticity, numbness or tingling in the extremities, and more. These symptoms are caused by disruptions in the flow of information between the brain and the body in the central nervous system, and can make living life exponentially more difficult. One of the most effective ways to combat these symptoms and restore vitality to a patient suffering from multiple sclerosis is through the use of Osteopathic Manipulative Therapy (OMT) techniques such as the sacral wobble and the thoracic inlet myofascial release. These techniques are especially successful in helping patients with multiple sclerosis find long-lasting relief because, according to the Journal of the American Osteopathic Association, they “ease biomechanical respiration and flow of venous and arterial blood and lymphatics and may improve parasympathetic tone.” At Osteopathic Health Care Associates, our trained osteopathic doctors excel in performing these and other techniques designed to eliminate pain and reestablish functionality in patients with multiple sclerosis. The sacral wobble technique’s purpose is to help mobilize the sacral iliac joint in order to improve a patient’s overall gait mechanics and influence parasympathetic tone in the large intestine and genital urinary systems. The sacral wobble technique begins with a patient laying face down. A qualified osteopathic doctor, like those at Osteopathic Health Care Associates, will then perform a specific set of rhythmic “wobbling” motions along the sacral iliac joint to steadily relieve pressure and improve mobility, as seen demonstrated in the video. The thoracic inlet myofascial release technique can be performed either lying face up, or in a seated position. The process begins with the osteopathic professional making contact with the thoracic inlet and gathering up the facial planes, including the Sibson fascia. Once a firm hold has been established, the osteopathic specialist can then motion test the thoracic inlet and diagnose any existing dysfunction. Treatment can then be performed either by moving directly into the palpable barrier, or by moving indirectly into the position of ease, in both cases ending by holding the final position for up to one minute. Range of motion and mobility can then be tested again for improvement. If you have multiple sclerosis and believe that these OMT techniques could be particularly beneficial to you, choose the best osteopathic doctors. Choose Osteopathic Health Care Associates. If you or someone you know could benefit from professional Osteopathic Manipulative Therapy performed by a qualified specialist, then make an appointment at Osteopathic Health Care Associates with Dr. Shane Patterson, Dr. Ryan Christensen, or Dr. Mary Goldman by calling 586.221.2791, or complete the contact form in the sidebar to receive a return call from someone on our office staff.